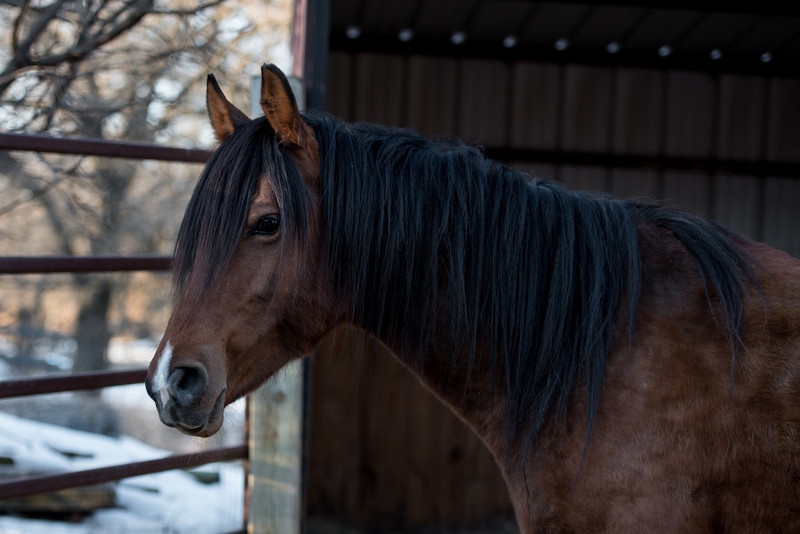 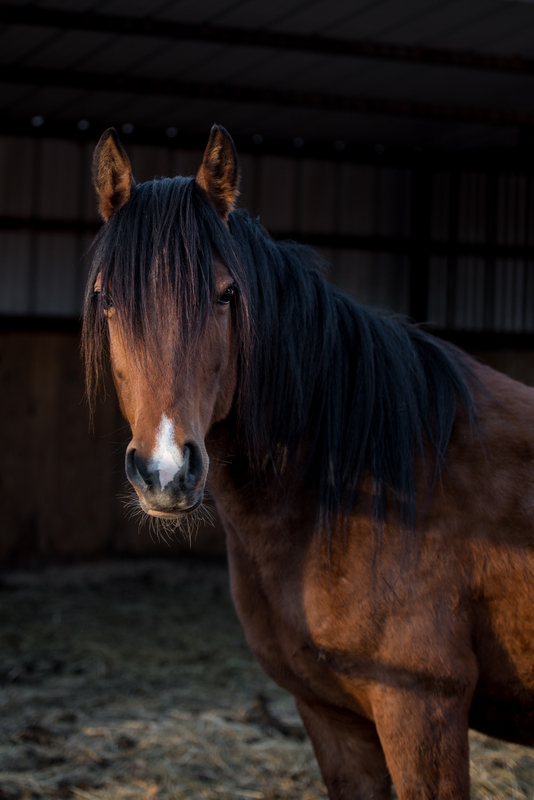 Sugarfoot is a bay grade Arabian mare who came from a recent humane case in December of 2017. 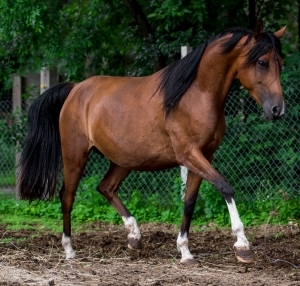 She is 14.1 hh and was foaled in 2011. 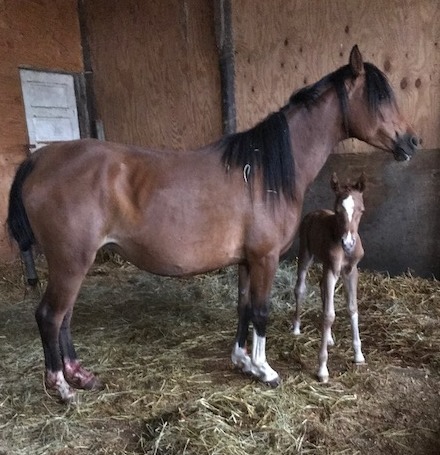 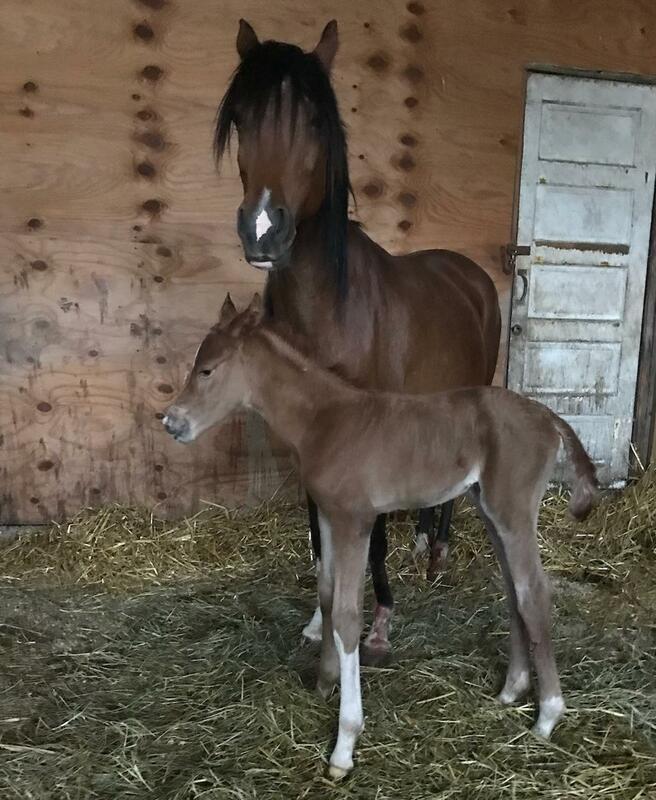 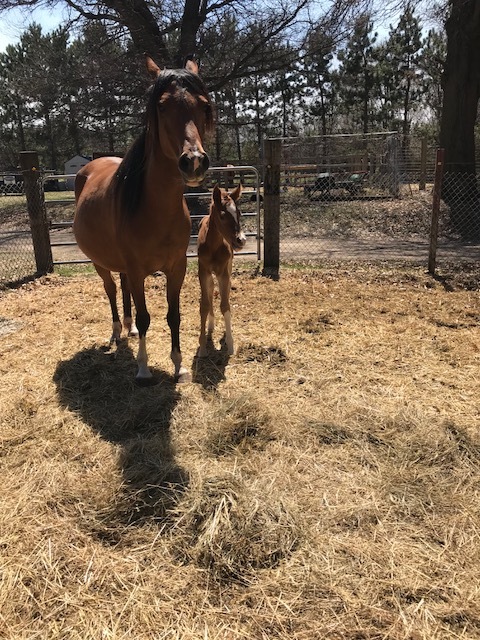 She was pregnant at intake and gave birth to a large healthy filly on May 2nd, 2018. 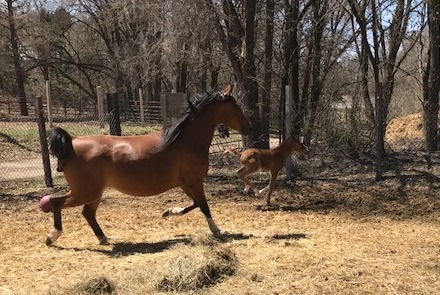 The filly has been named Maridae and she is a healthy, lively girl. 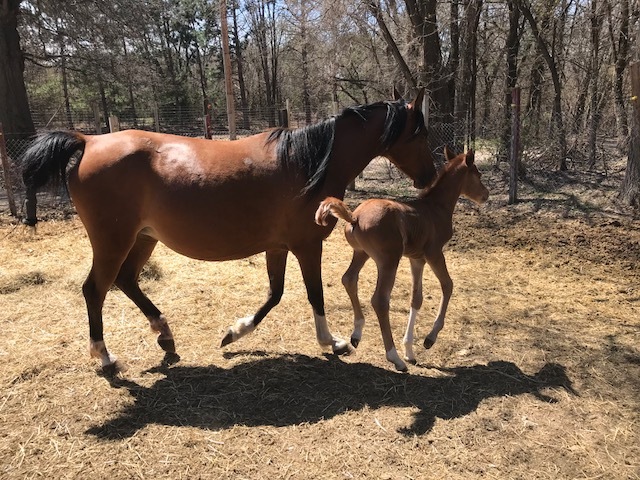 Maridae has now been weaned and Sugarfoot is ready for a new home. 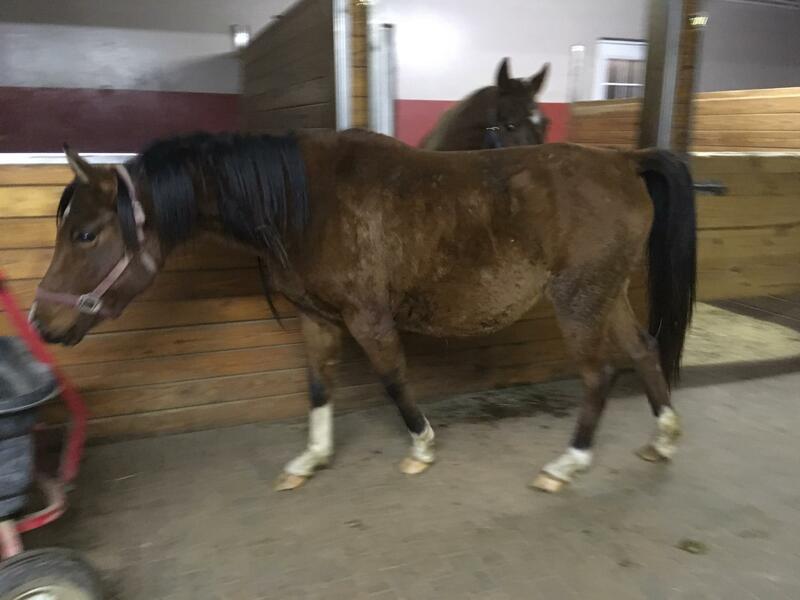 She is not yet broke to ride so she has been placed with trainers Kaitlyn Fedewa and Anna Hill for our 2019 Trainer’s Challenge. She’ll spend the spring and summer in training and will compete in the Challenge on Sept. 7th. 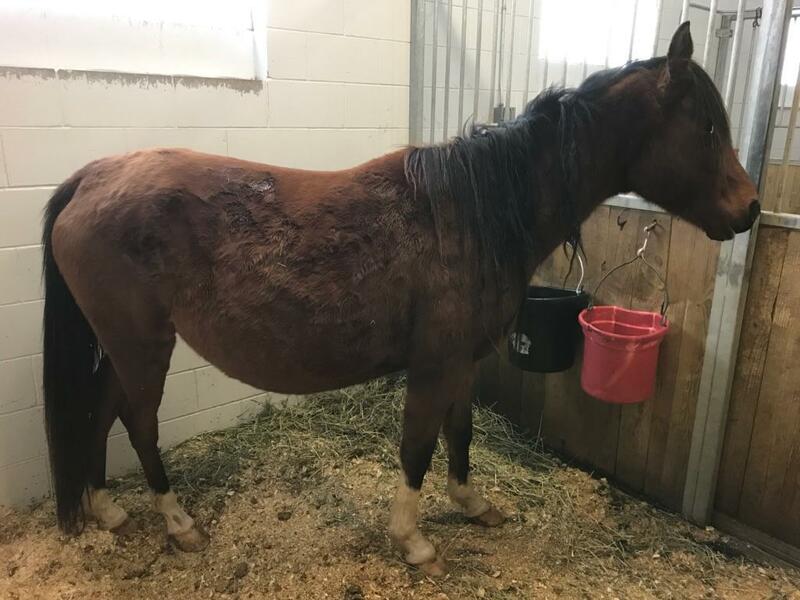 For more information on how to adopt Sugarfoot or any of the other horses at the Trainer’s Challenge, please visit our Adopting a Trainer’s Challenge Horse page! 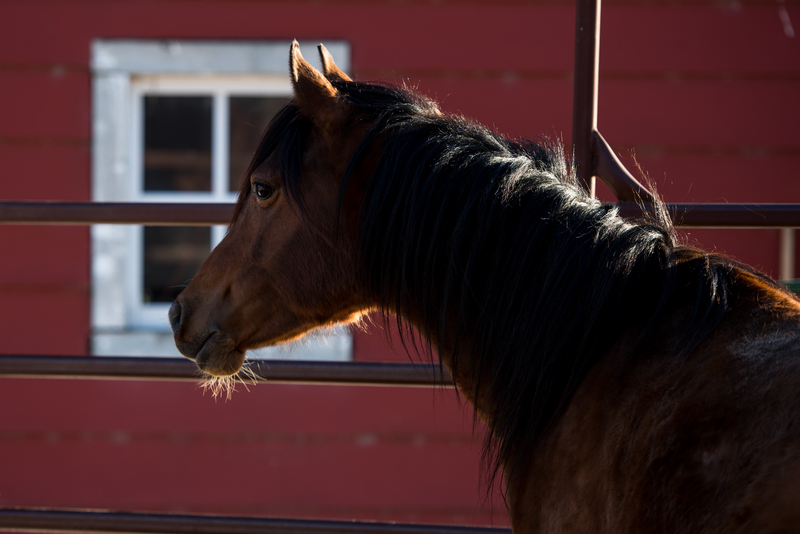 You can follow Sugarfoot’s journey with Kaitlyn and Anna on her Facebook Page!